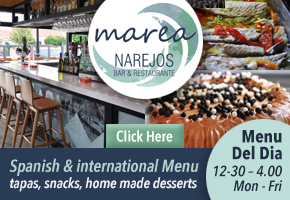 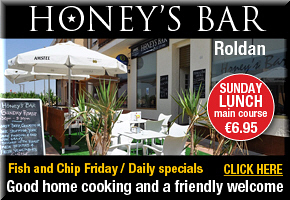 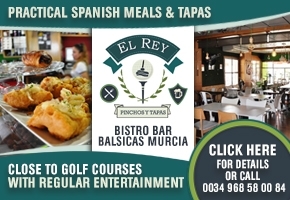 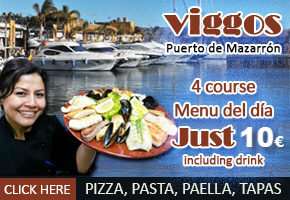 Marea Narejos Bar and Restuarant San Javier Mar Menor Bar-restaurant Marea Narejos is on the newly-opened Area Narejos camping site in Mar Menor.. 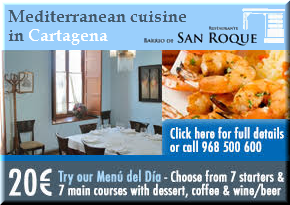 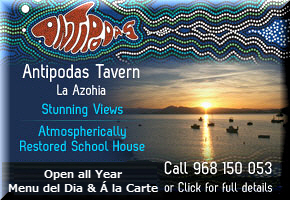 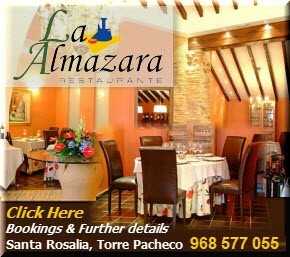 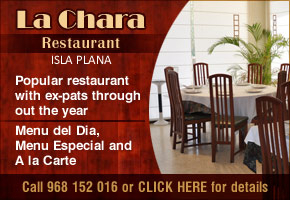 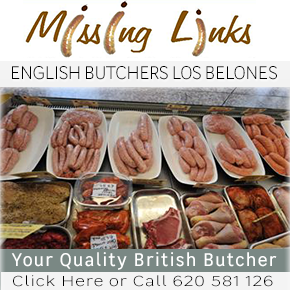 In Santa Rosalia Torre Pacheco Murcia, can be found La Almazara, a converted restaurant on a site previously given over to olive oil production (..
La Encarnacion has a front terrace opposite the sea, a secluded garden patio and colonial style restaurant Hotel Restaurant in Los Alcazares.. 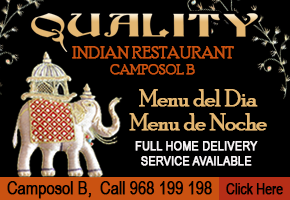 Address : C/ De la Condesa, 6. 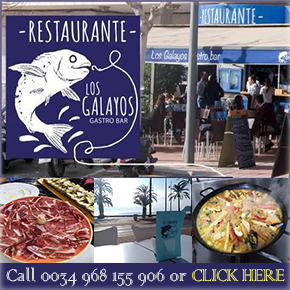 30710 Los Alcazares. 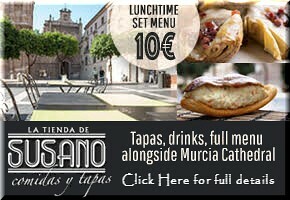 Murcia. 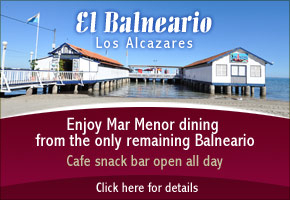 The Balneario Los Alcazares The Balneario belonging to the Hotel la Encarnación offers one of the most interesting dining and refreshments..
Where to Eat Los Alcázares La Tropical Tapas bar and Restaurant La Tropical is one of the Region of Murcia's oldest family restaurants..